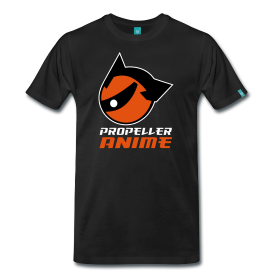 Propeller Anime: Anime Nite Orlando: It's MANIME! 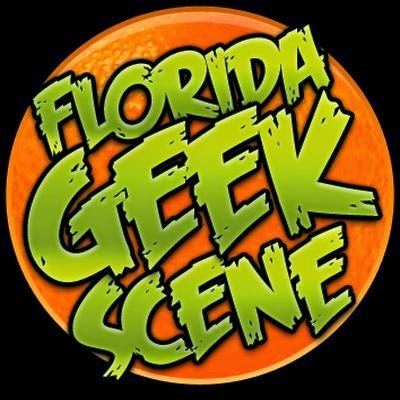 Anime Nite Orlando: It's MANIME! 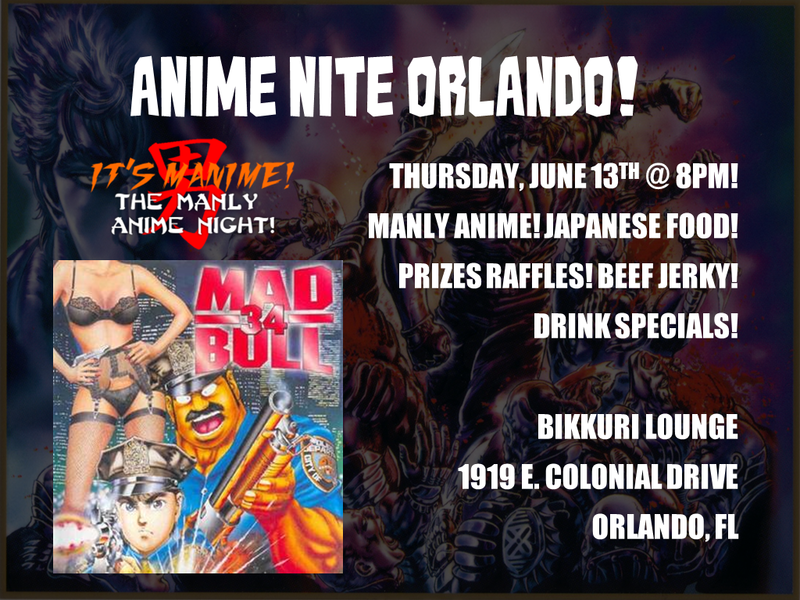 Coming hot off the heels of Knightrokon, we have our next Anime Nite Orlando! It will be Thursday, June 13th at 8pm! The location will be Bikkuri Lounge in downtown Orlando at 1919 E. Colonial Dr. Orlando, FL! This event is going to be hot-blooded, fierce, and filled with testosterone because the theme for June is It's MANIME! featuring anime covered from our legendary convention panel! We're gonna make it rain beef jerky and headbutts while showing you anime that will put hair on your chest! Our main feature will be Mad Bull 34, the anime documentary about an unlikely duo of police officers in New York's most dangerous police district! They will take on the most rotten and corrupt of the Big Apple's seedy underbelly by any means necessary and we do mean ANY MEANS NECESSARY! Leading into that will be decided by you awesome people! We have a poll on the side of our page for this week featuring prime choices such as Fist of the North Star, Golgo 13, Berserk, Space Adventure Cobra, Jojo's Bizarre, Adventure, and Sakigake! Otokojuku! We'll also have prize raffles and drink specials. Two for one beers all night, plus $3 well drinks, and $5 Crown Royal and Three Olives! Plus, Bikkuri is open for dinner so bring in some dinner to enjoy with your MANIME! Thus event is free and we expect to see you there! 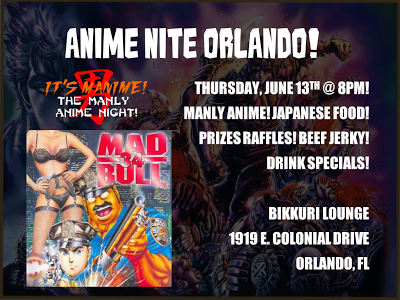 The Lineup For June 13th's Anime Nite Orlando!